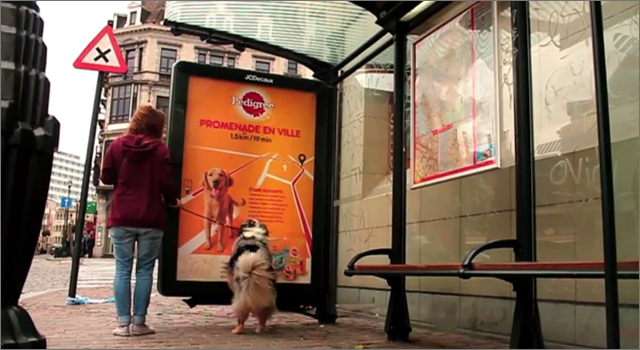 Wishing to encourage dog-owners to keep their dogs healthy by walking them at least 30 minutes a day, DDB Brussels and Pedigree transformed their bus shelter advertising into signposts to create a series of 7 guided walking tours around the Belgian cities of Brussels and Ghent. Owners who shared posts about the walking tours on the Pedigree Facebook page could receive a free Pedigree surprise pack. It takes only 3 hours and 20 minutes to cover the 730 kilometers between Lyon, France and Brussels in Belgium by TGV (Train à Grande Vitesse, meaning ‘High-Speed Train’). To promote the direct-link, French National Railway Corporation SNCF set up a special installation in Lyon’s Place de la République. The large cube, emblazoned with the message ‘Passez une tête à Bruxelles’ (‘Take a Look at Brussels’), invited pedestrians passing through the square to place their head into a small hole on the side. To their surprise, their face appeared on a giant screen at the Mont des Arts, in Brussels, where the mayor, his official band (doesn’t every mayor have an official band?) and curious members of the public welcomed them to their city. 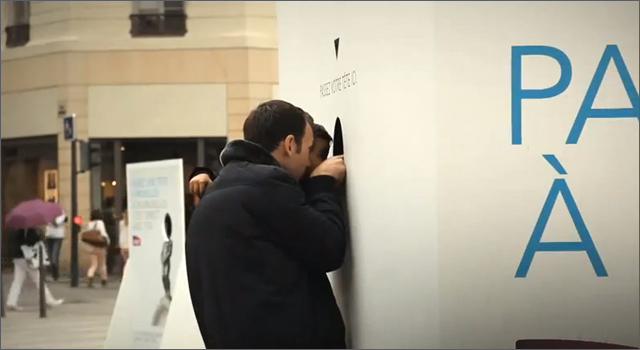 The campaign was created by TBWA/Paris. It’s true, not a lot actually happens in this video shot in a Brussels gym. Not a lot except for… awesome super-cute toddlers in track suits being gently nudged along by their personal trainer with mixed results. Hidden cameras captured the tired cranky looks of of the adults in the gym that morning. It appears like a few of the adults could have used a more nutritional breakfast and maybe a nap. The video was created to promote Olvarit Toddler Flakes, breakfast cereals that have been adapted to the needs of toddlers. 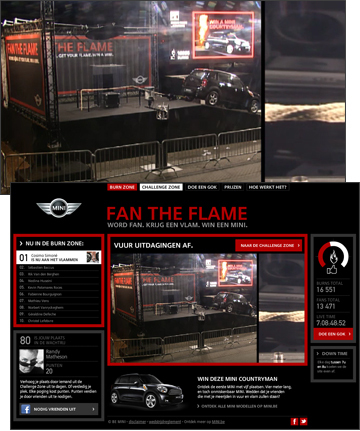 The campaign was created by TBWA Brussels.